Curtis Cloke is an award-winning financial professional and retirement income expert, trainer, and speaker with over 30 years of experience in income distribution planning. Recognized in 2009 as a top-five finalist for Advisor of the Year by Senior Market Advisor magazine, Curtis provides educational workshops, seminars, and presentations on advanced retirement income-planning strategies and techniques for financial professionals. 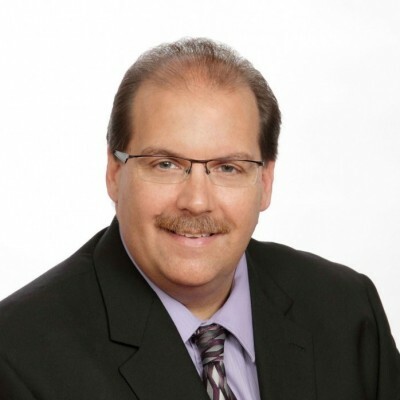 With a track record of spot-on media commentary, Curtis Cloke’s expertise has been featured in Senior Market Advisor, InsuranceNewsNet, Retirement Income Journal, NAFA Annuity Outlook, The Wealth Channel magazine,DepositAccounts.com, LifeHealthPro.com, and many more. He is a frequent guest on radio and TV stations, has appeared as a guest on NAIFA ClientCast® powered by Real Wealth® and as a guest presenter on their webinar series, Power Session LIVE by Real Wealth®. Bring Curtis into your organization and provide your advisors with the priceless skills, techniques, and knowledge that they need to provide the optimal retirement strategies for their clients. Call today to schedule your next training or speaking event! Curtis is a member of the National Insurance and Financial Advisors Association (NAIFA), and is a former president of the Southeast Iowa Association. He is a member of the Society of Financial Service Professionals (FSP) and is a qualifying member of Top of the Table with the Million Dollar Round Table (MDRT). He has earned his CLTC (Certified in Long Term Care) and LUTCF (Life Underwriters Training Council) designations, and moderates development courses for the Life Underwriters Training Council. He has also developed and provided continuing education training to professionals on many topics relating to retirement and estate- planning strategies. Check out THRIVE University’s advisor education site at ThriveU.net. Retirement challenges facing Americans today have never been more complex. This episode Real Wealth® is joined by Curtis Cloke, President and Founder of Thrive Income Distribution System…. Planning for Longevity in Retirement – Bonus Q&A Session! Forecasting Retirement feat. Curtis Cloke – Bonus Session!